The phrase "the Mechanical Paradise", coined by Robert Hughes in his book The Shock of the New, reflected new visions in painting and sculpture in the age of machines, Kino Pravda (cinema) being among the chosen mediums of this post-WWI movement. LIFT is pleased to welcome Steven Woloshen to Toronto to present a screening of his lush and energetic hand-made films. Woloshen presents sixteen short, animated and experimental films, highlighting the mechanics and the art of the perforated film strip: cinema's direct assembly line. 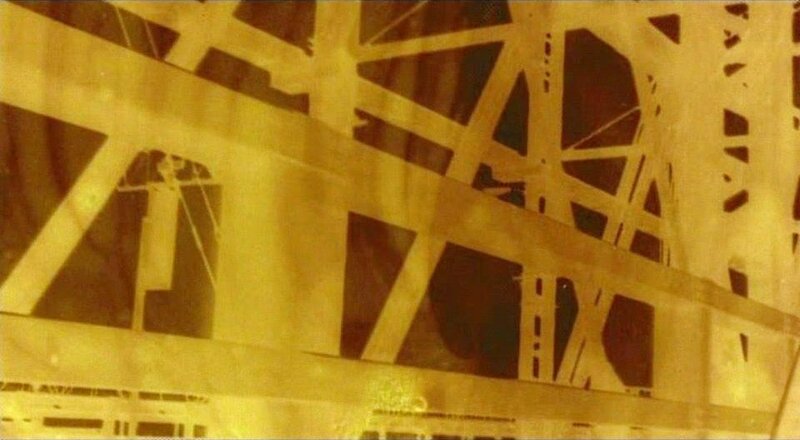 This 16mm/35mm film screening will cover 30 years of his unique abstract film strategies, which are scraped, glued, painted and burnt onto the surface of the film. The results dance along to their propulsive jazz soundtracks, creating a rhythmic beauty as tiny frame-by-frame gestures are writ large on the cinema screen. Montréal born artist, Steven Woloshen (BFA, MFA Studio Arts) has been passionately creating short abstract films and time-based-art installation pieces since 1982. He has been invited to show his work, has lectured on the subject of handmade analogue film techniques and has been commissioned to create unique films for artist-run centers, international film festivals and galleries. In 2010, he published his first book on the subject of decay, archiving and handmade filmmaking techniques, titled "Recipes for Reconstruction: The Cookbook for the Frugal Filmmaker." The Liaison of Independent Filmmakers of Toronto (LIFT) is an artist-run charitable organization dedicated to facilitating excellence in the moving image through media arts education and production resources. LIFT exists to provide support and encouragement for independent filmmakers and artists through affordable access to production, post-production and exhibition equipment; professional and creative development; workshops and courses; commissioning and exhibitions; artist-residencies; and a variety of other services. Founded in 1981 by a small collective, LIFT has since grown to become one of the foremost centres of its kind globally.